I have been in search of the perfect bass wah for several years, my search is over. The Snow White is the best pedal I’ve ever heard or used! Thank you so much. 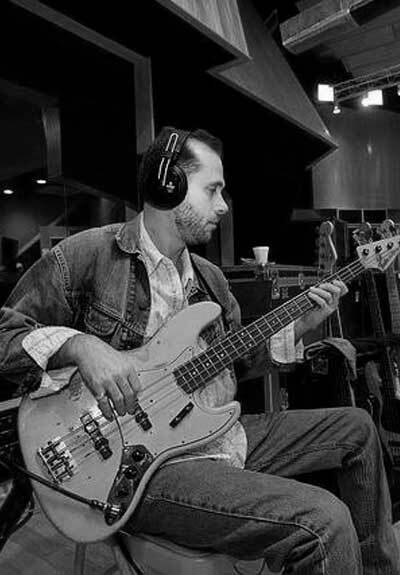 Kevin is one of the busiest session bass players in Nashville. You must have heard him play, he is all over top country hits. Kevin has played with: Brad Paisley, Josh Turner, Craig Morgan, Garth Brooks, Johnny Cash, Dolly Parton, Guy Clark, Linda Ronstadt, James Taylor, Alison Krauss, Emmylou Harris, Patty Loveless, Merle Haggard, Willie Nelson, Waylon Jennings, Vince Gill, Darryl Worley, Jewel…. the list goes on and on…. A.C.M. nominated Bass Player of the Year. Played on over 25 million albums sold. Wrote 2008 Grammy-winning country instrumental “Cluster Pluck”. 3-time Grammy nominated for producing. Row Magazine top 5 “Most recorded Bass Player of 2009”.